There’s a particular joy that overcomes you when you’ve cooked a meal wholly from vegetables that you’ve grown yourself. Having planted my first lady’s finger and spinach seeds this year, the memory serves fresh in my mind - I would wake up every morning jumping to the window just to see if they had sprouted. The day that it did, I remember dreaming of all the things I could create with these bountiful gifts of nature. Soon, my whole window was taken over and I felt as though this was one of the most rebellious actions of my own doing - I could feed myself a whole meal, and there was something rather powerful driving that thought. Living in the folds of an urban jungle often doesn’t allow for us to explore this inherent joy so easily, but there’s always a way. 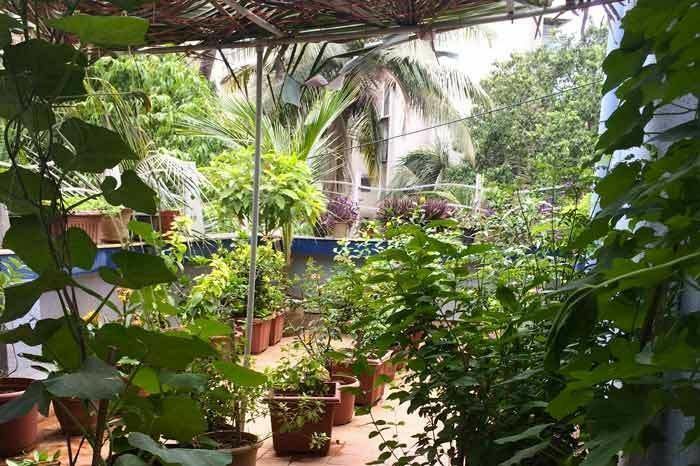 We’ve managed to find a few people well on the path to urban farming, be it actual terraces or window spaces occupied in the confined spaces of Mumbai. Let this inspire you to grab a pot, plant a seed and let nature take its course. Arjun Krishnan is a 23-year-old studying Law. He lives in Green Garden Apartments in Chembur, a colony of row houses located close to the Eastern Freeway. His family and him started their rooftop garden close to 3 years ago. “My dad has been passionate about plants ever since we moved here in 2007. He regularly visited the local nursery and brought home a bunch of potted plants each time. Our idea of a garden only materialized recently after a point we started running out of room outside our house, and I think that was when we decided to expand. As is the case with most houses in the colony, both sides of our roof were sloped downwards to prevent rain water stagnation. In order to be able to plant a garden on it, though, we’ve had to level one of the two sides (the other side remains untouched). It accommodates several flowering plants (hibiscus, mogra, jasmine, rose), as well as green plants (tulsi, lemongrass, a couple of cacti, etc.) that we brought home from the local nursery a couple of years ago. Pavithra Dikshit is a 27-year-old designer and artist living in Chembur. She has been building the terrace garden along with my parents from 2013. She gets her green thumb from her nanaji who was a farmer and her dad love’s roses. “It’s our collective family project. And by family, I also mean dad’s long-standing driver, Ojha-ji. So we take turns in taking care of the garden. I usually do most of the manual labour of potting, cleaning, trimming and making sure all the plants are okay along with him. Mom and Dad oversee, advice and pitch in hands on whenever required. On occasion, we call over a mali from the local nursery to help if we’re not sure of what’s happening. I trust the local nurseries or places like Ratanshi in Byculla where I regularly get my seeds etc for the garden. I occasionally browse the internet, but there are too many varying kinds of advice online and much have little to do with Mumbai or India. Gardening largely depends on soil, the weather and how much care one can provide. So it’s fairly subjective and intuitive. At present, we have over a 100 pots. We have a bunch of herbs like Mint, Basil, Rosemary, Coriander, Curry Leaves, Spice plant and some vegetables like Spinach, Ladies Finger, Cluster Beans, Lemon and a miniature Chickoo Tree growing in the garden. 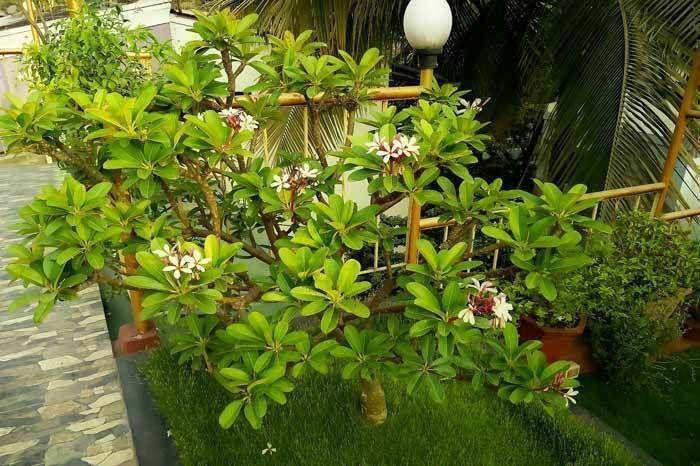 As Tam Brams, we have multiple pots of Jasmine (Mogra) and Firecracker (Kanhambaram in Tamil) along with the staples of Roses, Ixorus, Allamanda Creeper, Hibiscus, Bougainvillea etc. And of course a couple of varieties of Money Plants, Green Cyprus, Dracaena, Snake plant and Weeping Fig among others. We once planted Papaya seeds after drying them and it gave us a few shoots in the pot and after one grew to a decent size, we took it down and now it’s slowly becoming a full grown tree which will supply fruit. “Fortunately we have balconies in our house here and thus I have utilised them for my fondness of plants. Most of the plants growing there are herbs and spices like mint, ajwain, black pepper, coriander, lemon grass, kadhipatta, basil, aloevera, green chillies and tezpatta .I prefer to grow plants right from the seeds and thus I keep experimenting with whatever seeds I get in my kitchen and then sow them in the pots. I had Methi leaves this season which were grown through sowing fenugreek seeds from household grocery.Last year I had put 2-3 mango seeds and watermelon seeds in two pots and they actually grew up as plants. Watermelon yielded one fruit but sadly couldn’t survive but Mango plants are doing great! n In coming couple of months, I am expecting a few tomatoes. I use most of these plants in daily cooking/ aromatic teas etc and also give small packings to friends and colleagues. It’s a great way to engage kids as well. I had involved a couple of friends kids with me to sow seeds and water the plants. And later when the plant comes out I send them the images and they actually feel so delighted!! Plants have become the highlight of our house and people love to take them as gifts too! They are an integrated part of life and I love talking to them everyday. I feel I grow with them everyday! 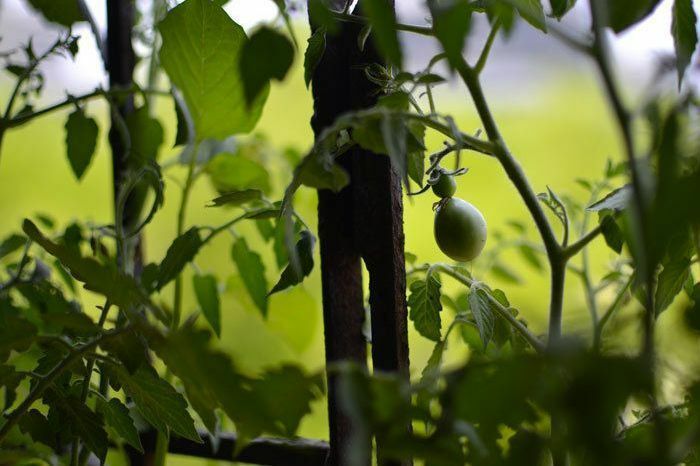 Mariam is a writer at a publication in Mumbai, and started to plant her little garden the day she moved to Mumbai. 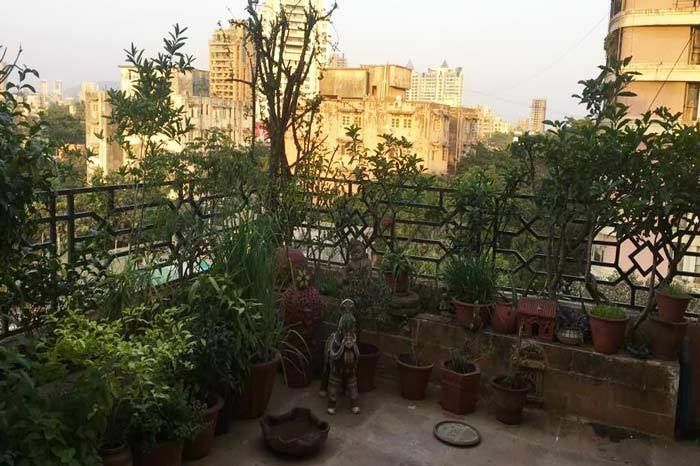 She lives in a small flat in Bandra, and doesn’t actually have a terrace but has made use of her forgiving window to bring a little bit of nature home.